Great Gifts for Outdoor Athletes – Far End Gear Article - Far End Gear™ Products for outdoor enthusiasts - earbuds, earphones, and earbud sport grips. 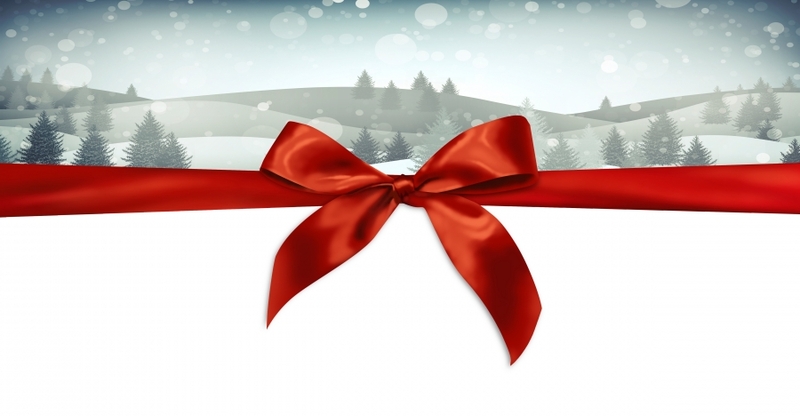 Are you unsure what to give the special outdoor athlete on your holiday gift list? To make shopping easier, we’ve listed some our favorite essentials that no outdoor athlete can do without. Altera Trail Explore Socks. Fact: No athlete can have enough socks, especially the outdoorsy types. Altera’s Trail Explore socks are specially designed with cushy Alpaca fiber and precious metals to help wick away moisture and keep feet comfortable in any type of weather. Far End Gear XDU Single Earphone. Wearing headphones in both ears limits one’s awareness when training outdoors, which causes a safety issue for every type of outdoor athlete. Although no outdoor athlete likes the inconveniences of using one earphone, a great way for runners and sportsters to enjoy their favorite music or podcasts while staying aware of their surroundings is by using a single earphone headset, such as the XDU Single Earphone from Far End Gear. By channeling both sides of a stereo mix in one earbud, the XDU Single Earphone allows outdoor athletes to fully enjoy their favorite music or podcasts while keeping one ear open to their surroundings. To keep athletes even more safe, the XDU Single Earphone features a reflective fabric-wrapped cord for extra visibility at night and comes with multiple sets of comfortable rubber ear tips for a non-slip fit. For those who use a clip-on style mp3 player, the XDU Single Earphone is also available in Far End Gear‘s Short Buds length. Cory Vines Essential Long Sleeve Shirt. No pun intended, but this cozy long sleeved shirt is an absolute essential for female outdoor athletes. Made with a moisture-wicking blend of nylon and polyester, the Essential Long Sleeve is lightweight enough to allow maximum mobility, but constructed to help athletes stay warm in cooler conditions. To top it off, it’s specially cut to give any female physique a lean, athletic look. For guys, check out Cory Vines’ Path Long Sleeve Shirt. It has all of the same great features of the Essential and is specially designed for guys. Far End Gear BudLoks Earphone Sport Grips. Tired of your earbuds falling out in mid-workout? BudLoks Earphone Sport Grips are a perfect addition to your favorite earbuds. Soft, silicone wings gently lock into the bowl of the wearer’s ears, comfortably locking them in place during general activity or vigorous exercise. Not only can you choose between different 6 colors to match your gear, but BudLoks are design to work with a myriad of different style earbuds, including: Sony, Beats by Dr. Dre, Skullcandy, JVC, iPod-style earbuds, JLab, SkunkJuice, and even Apple Earpods and Kindle Fire earbuds. The Cap-Sac. Since outdoor athletes are always looking for ways to store things, you can’t go wrong with giving a Cap-Sac. Fannypack-slash-baseball cap, the Cap-Sac is both practical and hip. It comes with a Velcro closure on the back and a giant pouch on front, great for storing a variety of small valuables and shading eyes from the sun. SKORA Running Phase-X. Safety, style and lightweight performance come together with the fully reflective PHASE-X, designed for runners who don’t stop when the sun goes down. Lightweight, minimal and hyper-reflective, IBR outsoles provide incredible ground feel without sacrificing protection. PHASE-X is the ultimate low-light running shoe, with 360-degree reflectivity. Stuffitts. Outdoor athletes put their footwear through the wringer, considering the rough terrain of the trails, perspiration, and exposure to the elements. As a result, their footwear can develop some seriously foul odors in a short period of time. Help your favorite outdoor athlete keep their shoes fresh with a pair of Stuffitts. These cedar inserts go directly into the shoes and are specially designed to absorb moisture and destroy even the worst odors. They’re even form-fitting and made to fit shoes and cleats of all types and sizes. Brooks Nightlife Reflective Vest II. Great for helping your favorite outdoor athlete stay safe, the Nightlife Reflective Vest is an absolute necessity for runners and cyclists. It’s fully adjustable and lightweight, featuring 3M’s Scotchlite retroreflective technology for superior safety.